We’ve been spending about $80 to $100 per month doing our laundry. 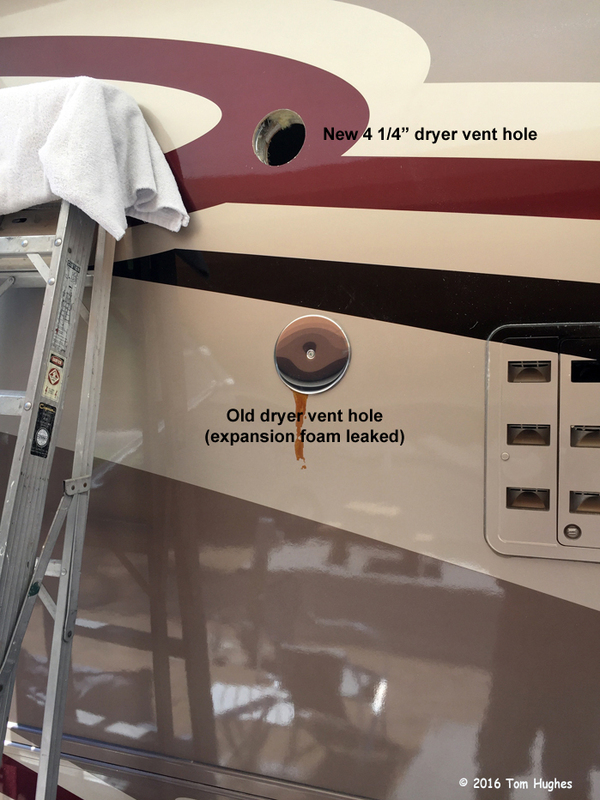 That expense combined with the inconvenience of lugging baskets of clothes into funky laundromats made us investigate re-installing a washer/dryer in our RV. Remember that we removed our non-functional Splenide washer/dryer a short while back (See Splendid(e) Deconstruction). We found that there are not many washer/dryer options for RVs. 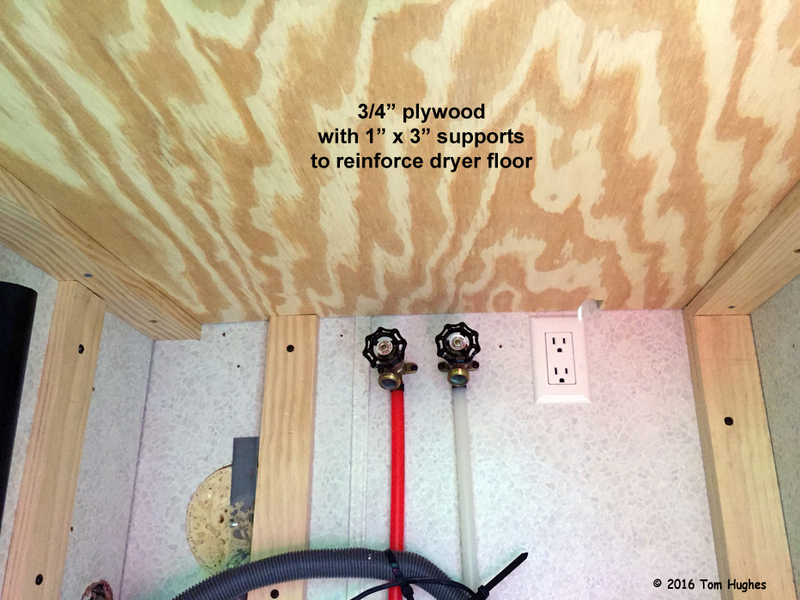 Since most RVs only have 110 VAC, that rules out using household 220 VAC dryers. Also, we didn’t bother looking at propane dryers (or converting a natural gas dryer to propane). In addition, RVs don’t have a lot of space and that means many household units cannot be used. 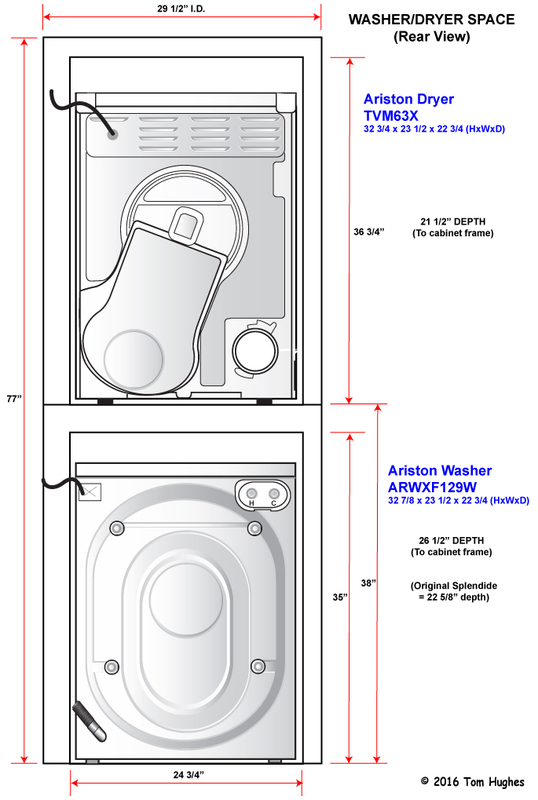 The new Ariston washer could fit in the same space as our old Splendide. Plus, the space was already plumbed for a washer. The new Ariston dryer could fit in the space above our old washer. This space used to have shelves and we used it as a linen closet. However, the floor under the new dryer was not strong enough. It was just 1/4” Corian. Also, we installed accessible hot and cold shutoff valves to the washer. Otherwise, we would have to shut off all water in the RV in order to service the new washer. We used SharkBite to connect to our RV’s PEX plumbing. Though SharkBite fittings are expensive, they are far easier to use than PEX ring fittings. We’ve only had the new Ariston washer and dryer up and running for a few days, but it looks like we made the right decision. We’ll have an update later on how it’s working out. Cool Beans Tom. Nice job! WOW! Nice job on what looks like a difficult project.